Is GoDaddy website builder fit your needs & dreams? This review will help you to take the right decision. Find here whether GoDaddy meets your requirements & imaginations. Note:- Don’t select a website builder just checking its rating. Read this post completely. Because every site builder created a certain specialty. To know this read the full post. So that you will understand whether GoDaddy website builder fits for you. It may take just 10 minutes. If you don’t, you will lose important things that may cause you 1000 hours of time waste. GoDaddy – Is It Really a Good Company? We always give first importance for trustworthiness. Because you know, there are so many scam companies floating on the internet. But how to know this? You can’t believe users reviews because scam companies can make artificial user reviews. That’s why I extracted real data and statistics. Let’s see one by one thing. How Many People Are Using GoDaddy? Why do you need to know how many people are using GoDaddy? You should know how many people are using GoDaddy because of the following advantage. If an online service has a good user base, then I can say that service should have minimum errors. Because they already fixed most of the common problems using their users crash reports and complaints. More users mean you will get more resource or tutorials from the web. So you can solve your problems easily. Customer care team include experts. You will get quick and the best answer for your query. Let’s check the current GoDaddy unique visitors and GoDaddy website builder unique visitors. 1. GoDaddy unique user searches more than 58 Million per month. This number is huge enough for a popular company. That’s why I indicated that number with GREEN Color. Note:- Don’t Take Your Decision Now. Read This Review Completely. It Takes Just 10 Minutes To Read. Don’t Hurry Up. GoDaddy User Growth – Are Its Customers Leaving Or Continuing With Satisfaction? At present Does, GoDaddy user-base increasing or decreasing? You should know this data also. if a company especially online service companies should have an increased user-base trend. I am not saying declining users is not a good sign, but I am damn sure, If users are leaving a company, then there must be a company which is more superior than the current company. Godaddy website builder interest on the internet. Above graph shows GoDaddy website builder searches slightly increasing over time. But NOW GoDaddy interest slightly decreasing. However, GoDaddy already has a huge customer base. It is really difficult to maintain the same interest with large user-base. But you should consider this as there may be a superior company eating GoDaddy customers. Visit Best Website Builder Reviews To know which is the top site builder. Godaddy is a big company. GoDaddy website builder may not popular, but GoDaddy domains are the world no.1. GoDaddy has 100s of different services like hosting, domain, office suit reseller, marketing tools etc. A few services are highly reputed. Every month more than 50 lac people searching for GoDaddy. It may not its website builder, but the other services. At present, GoDaddy’s interest is decreasing. GoDaddy website builder is not using many people. So you may get many errors. Webmasters are not recommending Godaddy. Its overall reputation is not good. GoDaddy User Experience – Will Its Website Builder Easy For You? Or Give You Many Problems? GoDaddy website builder is completely a drag and drop platform. But how is user experience? What about its other settings.? Let’s check it. Ease of use is also one of the most important factors that you should consider before buying any services. Most of the website builder are developed with inexperienced people. So you may get very difficult while managing or creating your website. Let’s see what about GoDaddy. Can You able To Setup Yourself Without Any Skill? Yes. Absolutely you can do everything yourself. What Will Happen After You Purchased GoDaddy Website builder Plan? Godaddy is using its own management system. I purchased GoDaddy website builder plans. Here I posted what happened. So that you can get the real sense & the answer to your doubts like how easy is GoDaddy?, Can I able to run your website? etc. You will see “WEBSITE BUILDER/ INSTANT PAGE” Link. Click on. Next, you will see Green color Launch Button. Click launch to access your website builder. Once you clicked on Launch, a box will popup. There you will get a chance you own a premium domain name for free..! Choose your website address here. 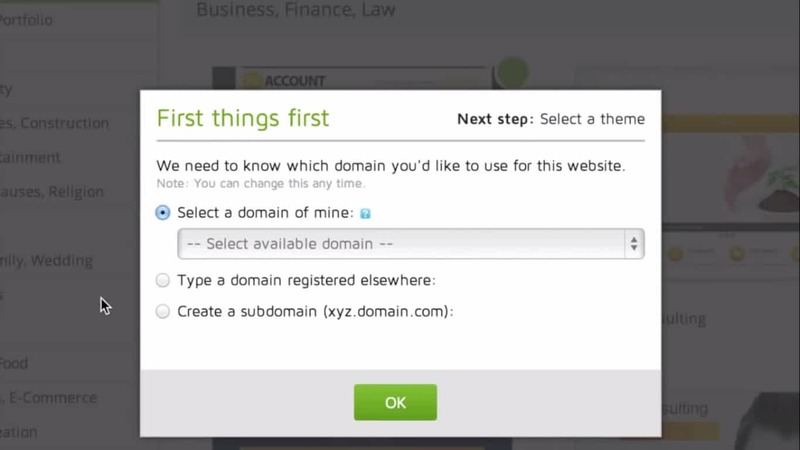 You can also connect domain from third parties if you already purchased from other companies. If your entered name is not owned someone else, you can click on ok button. It will redirect theme page. You can get 100s of free themes. Themes are categorized. So it is easy to select the perfect theme for you. 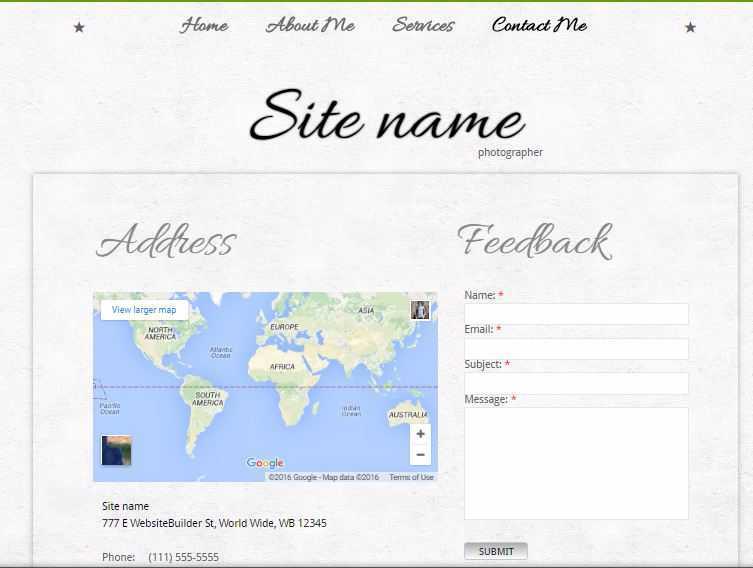 After selecting your template, you will see a few fields like your business, email etc. Fill it. Then continue. That’s all. Your website builder will load on your screen. You can edit, delete, publish anything you want. How Is GoDaddy Control Panel & DashBoard? 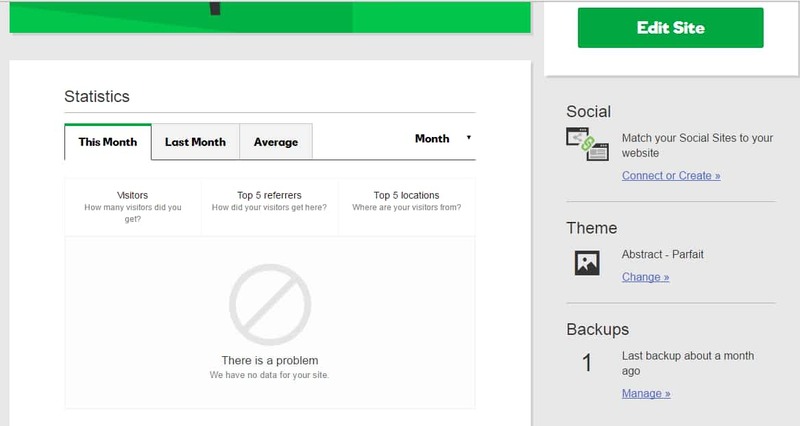 GoDaddy is using its own control panel. It is very easy to use. In my account section, You will able to get the following navigation. You need to click manage to access your website builder to create or edit your website. Once you clicked on manage, you will see this page. You need to click edit site to make a website. Once you clicked on edit site you will get GoDaddy Website Builder Editing Platform. See below screenshot. This is the front view of your editing page. Overall GoDaddy is easier than you think. You no need to have any previous experience to make, run and manage your website. Website Speed – Will GoDaddy Customer’s Site & Web Pages Load Faster Than Other Sites? I selected one of my website which is created by GoDaddy website builder. I tested from San Fransisco, California. Below you can see the result. Only 74% faster than other websites. Our team considered this as a very poor performance. Because Our Top website builders customer’s sites load faster than 90% of all the tested websites with the same page size (1.1 MB). However, the Overall user experience is good. The dashboard is easy, but lack many features. GoDaddy is using their own control panel. It is not the standard one and sometimes you may get difficult to manage your website. GoDaddy Templates & Designs – Is Really Its themes Are Good? 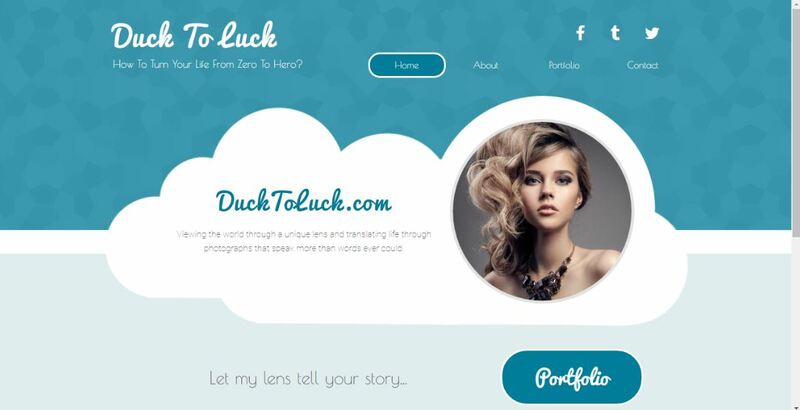 GoDaddy Templates and designs are amazing. So many themes are designed beautifully with a professional look. But just looking these things may fool you. You should know all aspects around its themes. How Much Good Its Templates & Designs? GoDaddy Templates & Designs – Are They Good Enough? But Just checking it beautiful templates is not enough for you to decide to purchase. You should check its flexibility, Responsiveness and different browsers views etc. 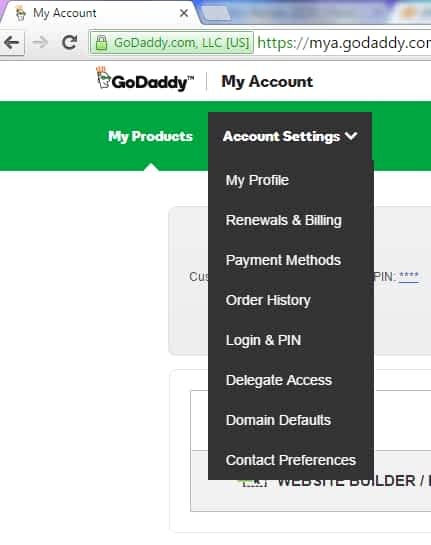 GoDaddy Theme Flexibility And Customizations – Will You Get Full Freedom? For the Personal plan, you will get 30 themes for free. 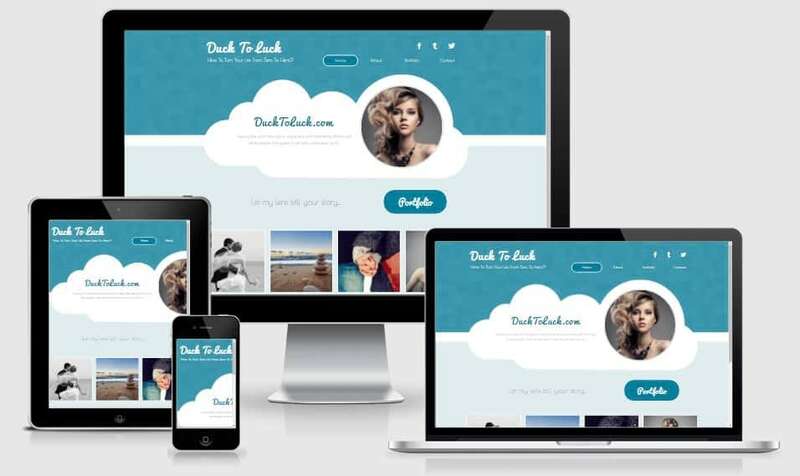 For business & business plus plans, you will get over 300 free themes. You can change any theme at any time. But remember, you will lose your previous work if you change your theme. That means you need to upload and write everything from the beginning. When selecting a theme, you will get so many options to sort the themes. 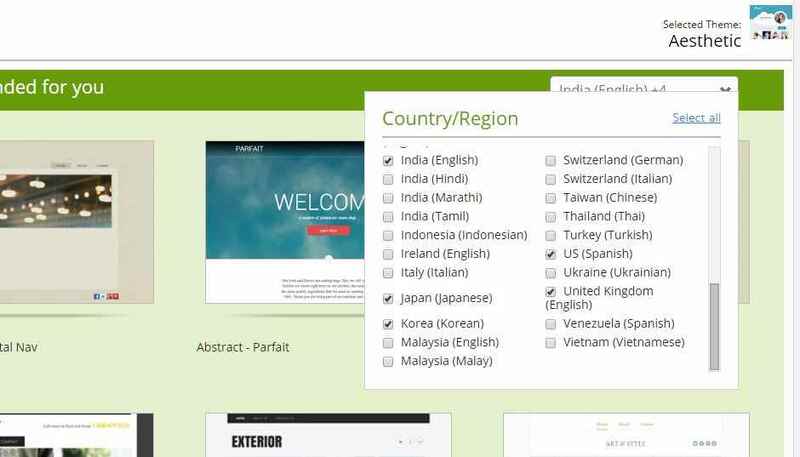 If you wanted to market particularly a country, then you will get already build professional beautiful themes related to which country you selected. You can select multiple countries at once. For example, see below screenshot. You will get lots of categories to sort the themes. So easily you will get the right template for you. All themes are ready made and you need to edit the field. So you can build your own website within an hour. You can view any theme mobile view and desktop view on a single page. But mobile web address is not working properly. That’s why we tested published websites in the next section. continue to read. While editing your website, you will get a lot of option. From the editor page, you can go through all main functions. See below screenshot. GoDaddy themes are flexible. You can try GoDaddy. GoDaddy Themes Mobile Design – Will All Its Templates Looks Good In Desktop As Well As In Phone View? 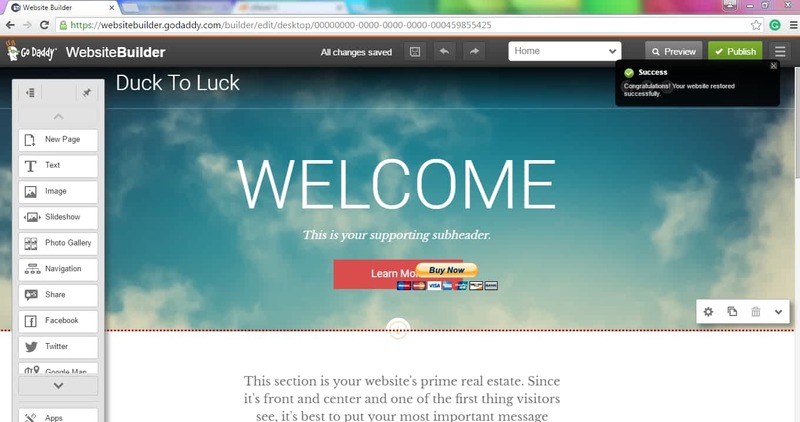 I selected a random theme from GoDaddy Theme Page to know its responsiveness. See below it’s Desktop view. 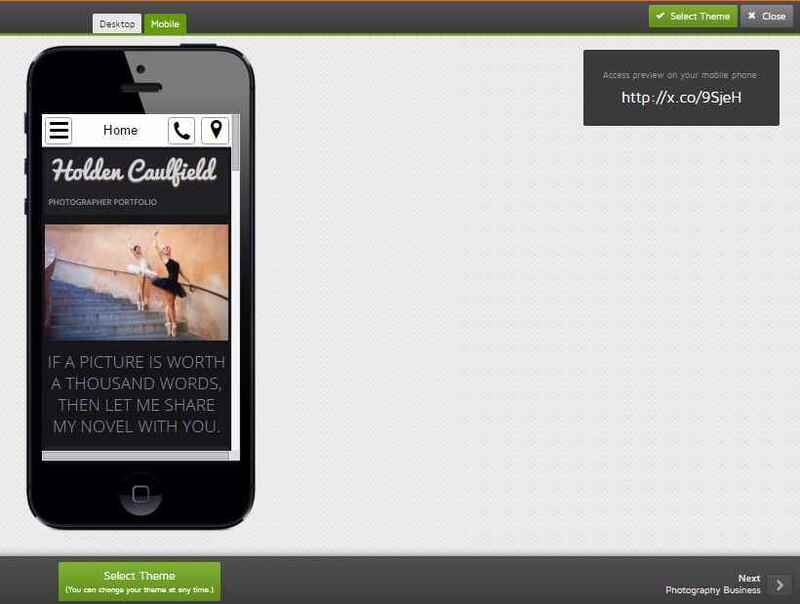 GoDaddy allows you to test its themes responsiveness. I checked the same website on a mobile display to know how it will look. This is how I saw on mobile screen. 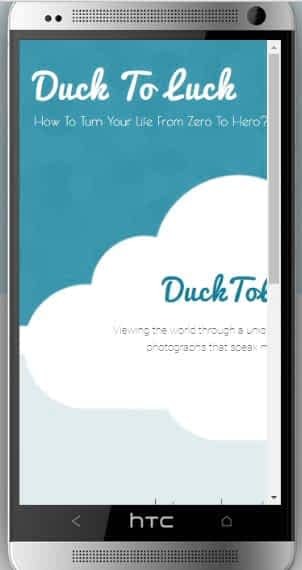 All text, blocks and Photos are also fit perfectly in mobile screen automatically. So we can conclude GoDaddy themes are mobile friendly. But we found a few errors. The menu is toggled. So all menu links are not visible. Social sharing button located vertically instead of horizontal placement. This will make content push down from the top. This is not good for user experience. Will GoDaddy Websites Fit For All Browsers With Different Devices? Checking your websites all pages on all popular devices like Apple products, Samsung products, HTC, Lumia and all desktop with all popular browsers like Chrome, Firefox, Opera is headache process. You no need to waste your time. we already tested all possibilities. GoDaddy themes are not fully responsive. Here are some results you can see. GoDaddy did not pass all our tests. 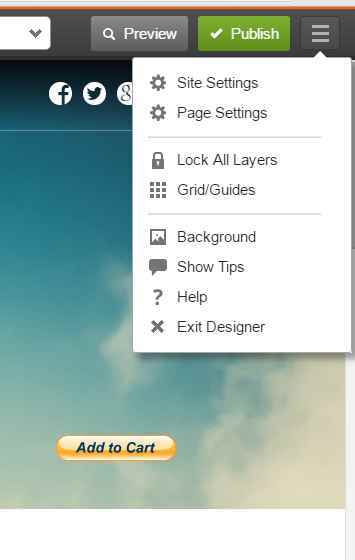 In some cases, GoDaddy themes are not viewable in HTC mobile. GoDaddy themes are viewable all our tested devices other than HTC. By Technically GoDaddy Themes are not developed with fully responsive codes. However, modern devices and browsers make fit and viewable. So, most of the cases, it looks like a responsive page. Local culture, tradition and trend based ready-made templates available for 43 different countries. You can’t change themes easily. If you change the theme, you will lose all your previously uploaded contents including posts, images, and everything. Theme responsiveness is not good enough. So Sometimes, In mobile screen, Your website may not viewable completely. GoDaddy Website Builder Features & Functions – Can You Really Able To Make Anything You Want? Is It Included all Essential Features? GoDaddy editor included following 18 features. You need to create websites using only above 18 features. If you want to make a simple website, GoDaddy website builder is for you. In GoDaddy official website or any of its related blogs, you will not get enough details. GoDaddy Website Builder Apps – Is It Really Make You Superman/Woman? 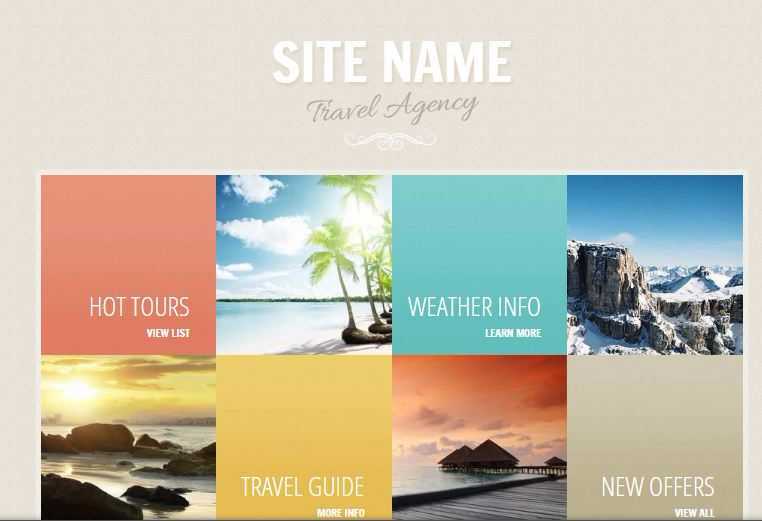 Every website builder shines in-app features. But what about GoDaddy. Are its apps are really useful for you? Or Is GoDaddy just putting some third party app to show their customers and make them fool? It will help you to collect your website visitors email by sign up process. It is ready made sign up form. You can drag and drop anywhere in your web pages. But I personally tell you, Godaddy email marketing form is the worst application I have ever found. You can’t make any changes in that form. Just you need to put your web pages. I bet you, you will hate that form if you want to try. You can sell your products or services using this app. But using this app, you can’t make an online store. This app is for sell something on your website. I explained about ECommerce feature the next section GoDaddy Online Store Review. You can find a complete detail of how it works in that section . To know Continue to read. For example, you are running a blog and you want to sell your books, ebooks or something like that or If you are running business services and you need a quick payment function, then only use this app. If you want to start an online store, then you need to buy Godaddy online store plan and not website builder plan. Once you selected the payment method, you will see this box. You can set your prices, currency etc. After that, you need to give your PayPal email. The only PayPal option is there. 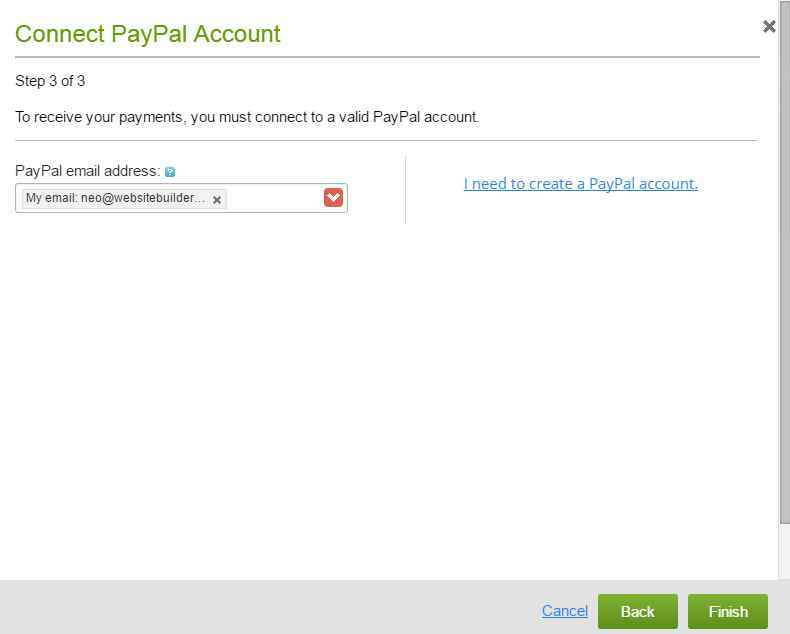 You can’t get money without a paypal account. this is one of the drawbacks. 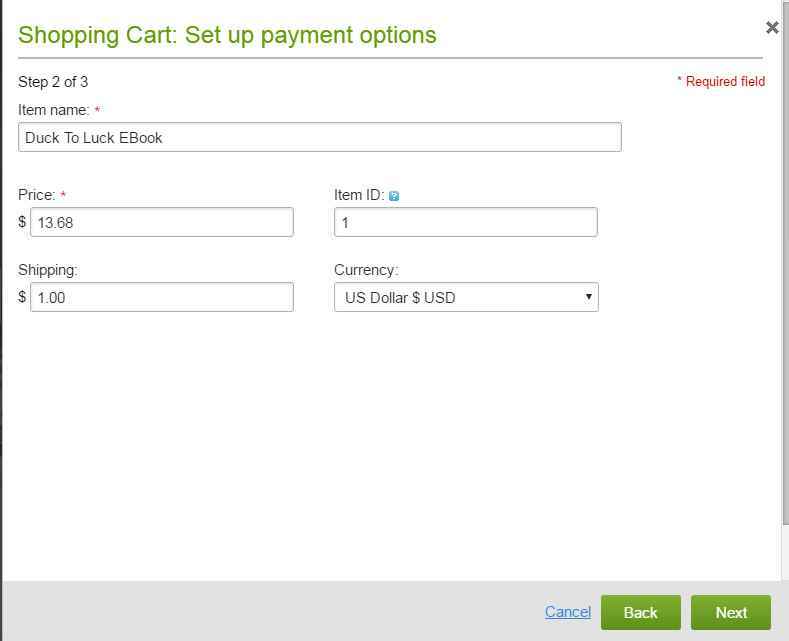 This is a screenshot of user payment process. To enable this app, You need to create an account in biz.yelp.com. The only basic feature you can get free. If you want more, then you need to pay again for that app. It is a third party app. So if you want to manage, you can’t make any changes from your website builder. We got a very poor result for this app. Overall app features are not good. Only 16 features are available as I mentioned above. Only PayPal option is there. 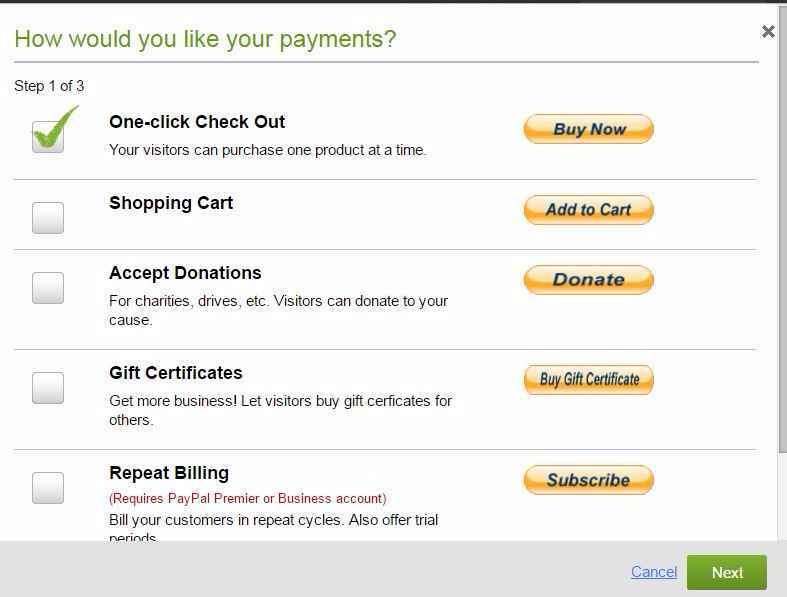 If you want more payment methods, you need to go to Godaddy Online Store. But that is too costly and you will not get website builder. This is completely confusing plans. GoDaddy Online Store Review | Will Its eCommerce Fit for You? GoDaddy introduced separate plans for online stores. 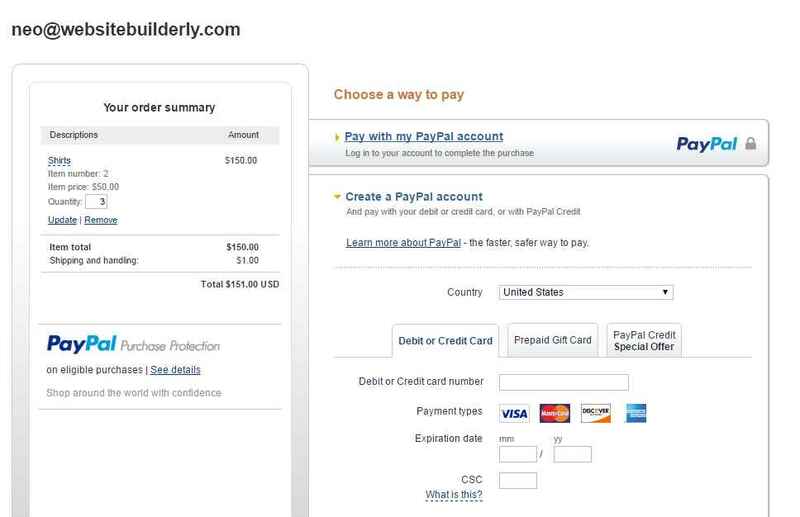 In GoDaddy website builder you can sell using PayPal. I already explained how to sell you items. But you can’t start an online store using its site builder. If you want complete features of eCommerce, you should buy its online store plan. In this post, we only reviewed about GoDaddy Website Builder. If you want to know everything about GoDaddy Online store, You should read this post – GoDaddy Online Store Review | Will Its eCommerce Fit For You? Website Hosting means uploading your website to a server. Server means a data storage device. Every website builder will host your website automatically as soon as you changed or published your site. GoDaddy claimed itself as world’s largest domain name provider. You will get cheap domain names. But remember, next year of your purchase, you need to pay higher prices than other domain providing companies. If you want to transfer your domain to another company, GoDaddy makes you hard to leave you. You will get one free domain name with any hosting plan. You should need back-ups of your website. If you make any mistakes, you can restore your website to your previous back up. It is just like the time machine. Restoring your website means, time traveling of your website. So it will remove all your mistakes automatically and appear exactly how is your website when your last backup process. 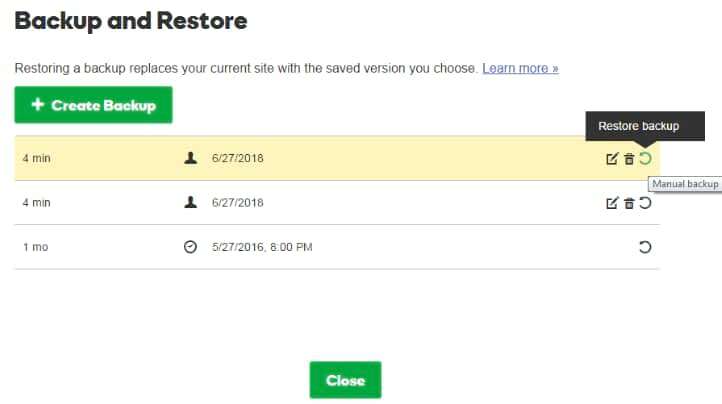 In GoDaddy, You can easily restore your website. GoDaddy webmail is very popular. You can use Professional emails and also you can use GoDaddy Microsoft office for your business. A separate login site is there. You can access your email securely. In our analysis, GoDaddy web mail is secure enough for you. We tested entire GoDaddy service securities and analyzed its vulnerability. Most of the website builder does not provide a good antivirus for their customers. 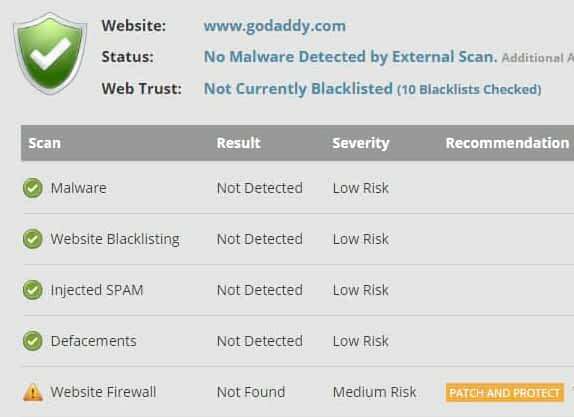 GoDaddy Website Security Test Result shows some medium and low risk. From the above result, you can conclude GoDaddy website security is not so good, but not bad. Your website speed depends on upon several factors. Web hosting is one of the major factors. If you hosted your website with good quality servers, your website pages will load faster. In the 1st section, I already discussed how much % your website will faster than others website if you created your site with GoDaddy. So I will not explain much more about this topic. GoDaddy SEO (Search Engine Optimization) – Will It Index Your Website On Google Effectively? It is very important. GoDaddy has a smart sitemap tool, this will boost your google index very fast. You no need to submit your website to search engines. But here a lot of risks may clash you. If your website not gets indexed in Google, you should contact GoDaddy customer care. 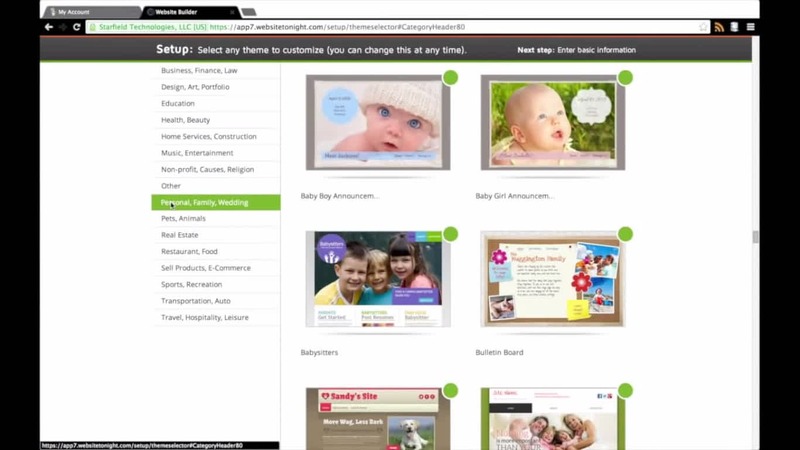 Godaddy will give you the power to add a title, a caption, and descriptions for all types of media. Godaddy is not behind to use all type of SEO techniques. You can organize your page or post content using heading tags and different formats and frames. Backup and restore tasks are very easy. They made difficult to transfer your website or domain to another web hosting company if you are not satisfied with GoDaddy. GoDaddy firewall is not good enough to protect your site. You need to pay more money for your domain name from the 2end year. Godaddy has a customer care numbers. Below number is for global. You can use this number for help 24X7. For Tutorials, Community support, Getting Started Quick Guides, Forums, Announcement visit below link. You can also use chat option to get support. You need to wait at least 4 minutes for chat support. They have a large number of users. So you may neglect if you are a beginner. From users reviews, Most of the GoDaddy Customer care people are not experts. They just speak nice. GoDaddy Pricing – Is It Worth For You? For all plans 1 free domain name and busness email are included. Conclusion: I don’t recommend Godaddy website builder. It is not easier than Wix or Weebly Nor better than most of the website builders. Godaddy is famous for domain names & reselling web products & not for Website Builders. In our detailed review, we never impressed with it. It is one of the worst Website builders. 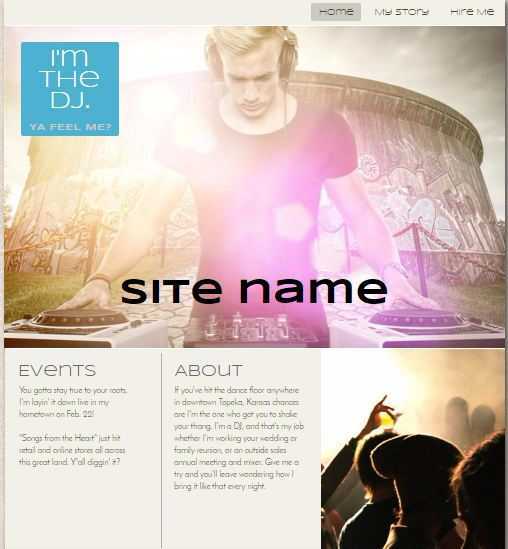 If you want to make a serious website then I recommend SiteGround-WordPress, Wix or Weebly never GoDaddy. Even if you want to make a quick website or just temporary website Wix & Weebly can help you much better & easier than GoDaddy website builder. GoDaddy Online Store Review 2018 | Will Its eCommerce Fit For You? You’re right – GoDaddy is a domain reseller. 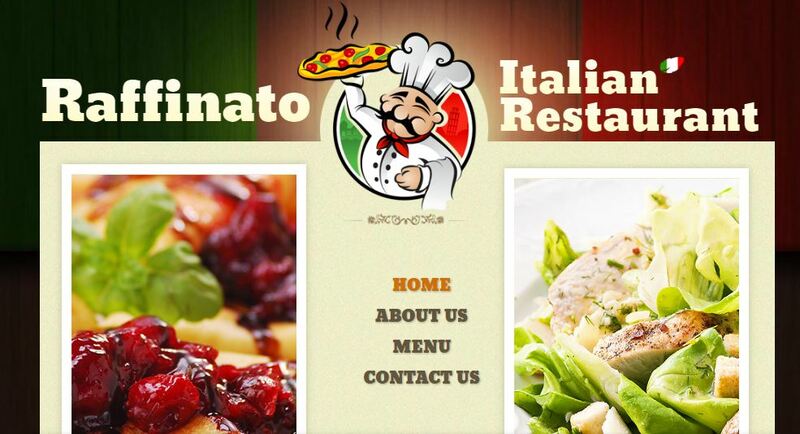 Their website creator looks kinda sparky and delicious, but I do not find it interesting or easy-to-use. Couple months ago I moved from the WordPress to the WebWave. What do you think about it? Thank you for your suggestion. I already reviewed webwave & now again I tested the main things. It is not mobile friendly & it is still developing. sometime dashboard doesn’t load. There are so many bugs may give you a lot of problems. See Wix Review or see 10 best website builder of 2018.